Every business has their unique position in the home goods marketplace. 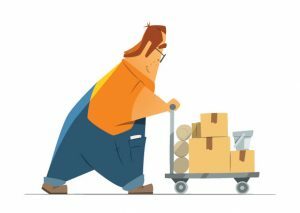 One of the ways that business owners can gain high-impact efficiency for their businesses is by outsourcing their logistics and supply chain management. At 3PL Center, we provide stellar fulfillment, packaging, warehousing, and distribution services to businesses in the home goods industry. Our industry solutions are designed to overcome the toughest logistics challenges. The home goods industry refers to the retail, distribution, and manufacture of home gardening equipment, cookware, appliances, soft furnishings, decorative accessories, furniture, and more. Today, online sales of home furnishings and housewares account for nearly 20% of the overall market. What’s more, tech savvy consumers are increasingly purchasing furniture, mattresses, artwork, and lamps as many have plans to refurnish and redecorate their dwellings. In terms of web sales, home goods are steadily becoming the second-fastest growing merchandise category. The leading retailers in the home goods industry are doing many things right; their innovative strategies make shopping online for home goods are more convenient than ever. Online merchants are also expanding their product lines as well as leverage web analytics and advanced personalization technologies to get better at converting web traffic. With that in mind, sound supply chain management is a must if a business wants to uphold the good name of their home goods company. Why Choose 3PL Center for Your Home Goods Business? At 3PL Center, we are highly regarded in the 3PL business, and have a combined experience of more than 45 years in our team. We have amassed a wealth of experience in working with home goods businesses. Since our inception, we have learnt many precious lessons about the home goods niche. When we are approached for assistance in third party logistics, we always have the right solution for our customers. Warehousing: Our premium-level warehousing facilities are well maintained by our professional warehouse employees. Your home goods inventory is handled and stored in an organized manner at all times. Our facilities feature complete environmental compliance, safety, insurance, and security. Fulfillment: Our proprietary fulfillment software allows you 24/7 access to know the exact status of your home goods stock. What’s more, our fulfillment services provide limitless scalability and are affordable. Distribution: Distributing your home goods orders just got easier with our stellar transportation services. Designed to optimize the entire distribution process, your customers can receive their orders within one to two days. If you seek flexibility in a certain 3PL service, don’t hesitate to approach our friendly and knowledgeable customer service team. 3PL Center practices a client-first approach in what we do, and we will be on-task to customize our 3PL solutions to accommodate your specific needs. Our third-party logistics services are designed to take your home goods business to the next level. Give us a call at 732-391-2500 or send us an email to sales@3plcenter.com today to find out how you can get started.